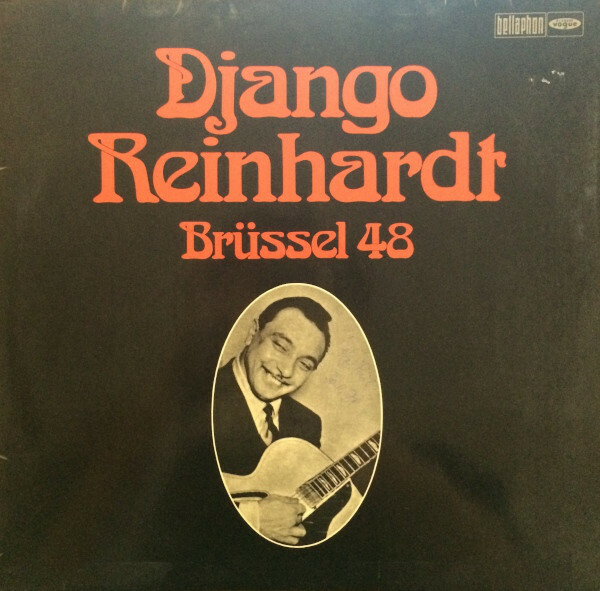 "This is a recording in which every Django Reinhardt admirer will be interested. It is the only public performance we know and it had been recorded on an amateur tape recorder he bought in Brussels. When Mrs. Reinhardt played it to us after Django´s death, we immediately thought that such a rarity had to be issued, although the recording quality is poor. So here is Django Reinhardt with his quintet on the stage of the Theatre des Galeries in Burssels in December 1948 featuring Hubert Rostaing, Louis Vola, Arthur Motta and his older son Henri "Louson" Baumgartner."